How to Search the Louisville MLS | Joe Hayden Realtor - Your Real Estate Expert! You can use this guide to learn how to search the Louisville MLS Listings. By using the Advanced MLS Home Search functions on this website, you can quickly learn about the various locations and price ranges, the available homes, plus other beneficial information when you are researching buying a home. In addition, you can save and email the MLS listings and photos to friends, family, and your real estate agent, who can all help you make wise decisions when you are buying a home. The first step is to define your wants and needs in a home. We suggest writing down your wants and needs so that you can keep track of what is important to you. A "need" should be thought of as a must-have in a home, like the number of bedrooms and bathrooms, the location, your ideal price range, etc. A "want" should be thought of as something useful in a new home, but not a necessity, like a pool. By writing down your wants and needs first you will be able to set the MLS search parameters to deliver the best homes to you. The next step is to log into the MLS Home Search and input the data from your wants and needs list. Depending on what parameters you set for your MLS Home Search you may find a large number of homes, or it is possible that you will not see many homes at all from the search. If you do not see any suitable homes in the search results, then you must make changes to your input parameters until you get enough homes to preview. We suggest only changing one parameter at a time until you begin to see homes that look suitable for your needs. Keep in mind that sometimes you will have to wait for a home that fits your needs to appear on the market. Once you have located enough homes to preview, the next step in searching the MLS for a home is to go through each listing, and read the descriptions and look at the pictures. While doing this, compare the homes to your wants and needs list, and take notes on each home that you find through the home search. We suggest assigning each home a value from 1-10, with 10 being the best, and start to discard all homes that don't rate at least a 7 in your opinion. This will help you stay organized and focused. The next step is to begin to share the homes you have selected with your real estate agent. Using the Property Tracker, you can save and email listings directly to your agent to seek their opinion and guidance. Your real estate agent should be able to locate additional information that will help you either keep the home you selected on your list, or to discard the home and locate others. Also, your agent should have access to location and pricing information that can help you make quality decisions. The final step is our favorite... Go see the homes that you have selected! You will learn quite a bit about searching for a home on the MLS system once you actually see a variety of homes in person. 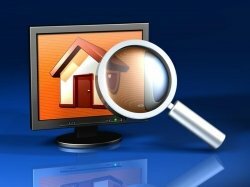 You will begin to relate what you see online to what actually exists in a home, which will only serve to allow you to make even better and more informed decisions when buying a home. As you continue your search, keep in mind that you have additional options which you can use to search the MLS for a home. You can perform a comprehensive MLS Map Search or you can search Neighborhoods and Subdivisions. You can also return to our page for Home Buyers. The Joe Hayden Real Estate Team is ready to help you with all of your home buying needs. Never hesitate to contact us to learn more about how we can help you.